No hard evidence was produced against US pastor Andrew Brunson at his latest trial hearing on 18 July by the three prosecution witnesses called to give verbal testimony before Izmir’s Second Criminal Court. Judicial interrogations at this hearing focused almost entirely on the pastor’s connections with ethnic Kurds. Although one member of his church testified that she had never observed any bias toward Kurds or support for the illegal Kurdish Workers’ Party (PKK) by the pastor, the two other witnesses conjectured that he was linked to the armed terrorist group, which has launched deadly guerrilla attacks against the Turkish state and its military for decades. The first individual to testify against Brunson on 18 July was not a secret witness. 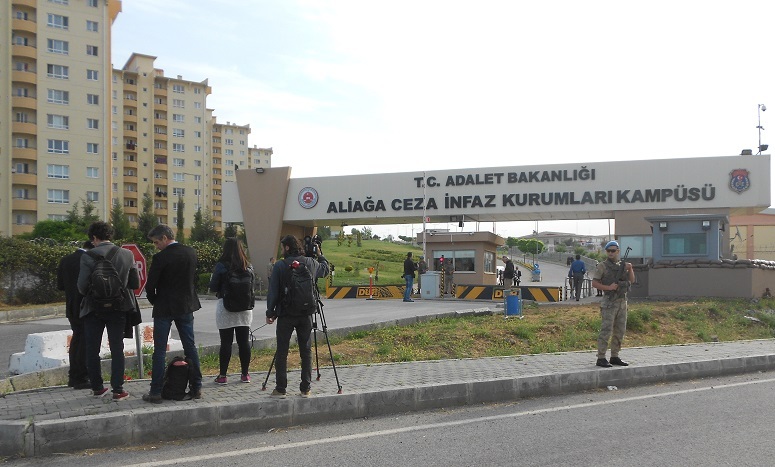 But nevertheless the court, without explanation, allowed Levent Kalkan to address the court by remote video, reportedly from Edremit, a town around 150 kilometres from the Aliaga prison and court complex. When the presiding judge asked Kalkan to begin his testimony, he appeared unprepared to say anything. After a long, awkward pause, he eventually said that he was ready to answer any questions put to him. The judge then told him he was to begin by reviewing the testimony he had given to prosecution investigators. After shrugging, gesturing nervously and declaring he did not know what to say beyond his written witness statement, Kalkan aimed a pointed question directly at Brunson: “I want to know how he managed to get Mehmet Dilberti out of Turkey to live in Belgium!” The witness was referring to a Kurdish Christian, active in the pastor’s Resurrection Church, who had married a Belgian Christian in the congregation and later moved to Belgium. Instructed that he was on the stand to give his own testimony, not to question the defendant, Kalkan then stated that he had known Andrew Brunson for eight or ten years, saying he had become a Christian while attending his Protestant church’s activities. He went on to say that recently a pastor in Izmir had told him he needed to either change or withdraw his written testimony. Kalkan declined to identify the person, but qualified under questioning that he had not been threatened. “I was simply advised to change it and repent,” he said. In regard to the pastor’s PKK connections, Kalkan said he knew about Brunson’s PKK sympathies from a phrase he once heard him use in one of his sermons, and also through others who attended the church. Asked to identify his sources at the church, he said he was unable to give their names, since they had been lost on his mobile phone when it recently broke. Reluctantly, he then named several of the Kurdish Christians involved in the church who these sources had told him were linked to the PKK. Kalkan accused the pastor of favouring Kurdish individuals at the church, discriminating against the Turkish-background attenders. “One time there were signs on the seats in front, saying ‘Turks cannot sit here’. I was shocked. When I asked I was told they were for guests.” People came for seminars from abroad, some of them Syrians, so they could have been activities with the PKK, he said. He claimed there was a “secret room” for meetings at the church that some people were not allowed to attend. He had once entered there and seen “documents from a terrorist organisation”, he said, including PKK brochures and a map of Kurdistan with certain locations marked. He said it was common knowledge that the pastor and others from the church were visiting Kobani, a predominantly Kurdish city in Iraq across Turkey’s border at Suruc. “But they wouldn’t take me and others of us with them,” he said. “I don’t know what they did there, and who they met with there,” he said, claiming that the church helped send abroad some of the Kurds like Dilberti. He said he became very uncomfortable with Brunson’s “political stance” and left the church, concluding that they were terrorists. During Brunson’s defence response to Kalkan’s claims, the witness shouted out and tried to interrupt the pastor until the presiding judge ordered him to stop and sit back down. In response to Kalkan’s accusations, Brunson noted that the secret witness codenamed Serdar had also claimed at a previous hearing that ethnic Turks were being prevented from an equal role in church leadership, while Kurdish individuals were given prominent roles.“Levent was a problematic person,” Brunson said, noting that the court had been presented with copies of emails written by other church members at the time, warning him that Levent was very anti-Kurdish and spreading his bias among others in the church. “He wanted to have a role of leadership in our church, but we didn’t give him that. 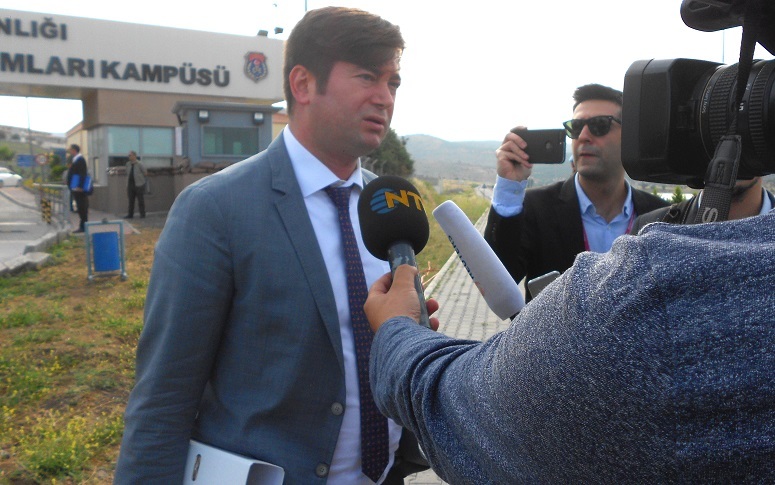 Brunson’s lawyer, Ismail Cem Halavut, declared Kalkan’s testimony via live video “unacceptable,” insisting that the accuser should be required to come in person to confront the pastor face to face in the courtroom. A Turkish woman summoned by the prosecution as a second open witness to testify against Brunson instead denied that she had observed any secretive or discriminatory elements in the church’s activities among refugees. Gungor Senturk, a member of the Resurrection Church who served occasionally as a cook for the church’s various training activities, had also attended a house fellowship the group led in the city of Manisa. “They were all people who loved Jesus,” she said. “Everything was done openly. The prayers, the hymn singing, greetings between them all. There were some books, Bibles there,” she added, saying she did not see any kind of files or documents. “I was usually in the kitchen preparing food,” she explained, so she said she didn’t listen to much of the Manisa meetings. Because they were mostly people who came from Syria, she said, they spoke in Arabic, not Turkish. She testified that she did not observe any discrimination between Turks and Kurds, nor did she ever see any signs of support for the PKK terrorist group either in Manisa or the Izmir congregation. She specified that no PKK flags were ever posted in the church, but there was a large Turkish flag right at the Izmir church entrance. 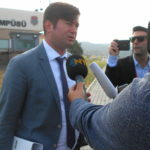 The third prosecution witness testified that he had converted to Christianity about 13 years ago, while attending another Protestant church in Izmir. According to his statement recorded in the indictment, Murat Candanbaglan said he met Brunson later, when an American named Erich Wieger was speaking in 2007 at Brunson’s church. On the witness stand, he testified that he had heard four or five years ago that Brunson was starting a Kurdish church with a Kurdish Christian from Syria named Mehmet. Candanbaglan visited the Kurdish meetings at Brunson’s church twice, he said, and while there claimed he saw PKK emblems inscribed on Kurdish Bibles. “A Kurd named Mehmet said they were visiting Kobani [a predominantly Kurdish city in Syria near the Turkish border], which surprised me, but they did go, so I decided not to attend anymore. My friends said it was a Kurdish church – but we are Turks! “Wieger knew Kurdish, Arabic and Turkish, he travelled everywhere, and referred to ‘Kurdistan’,” he said, saying this caused him to question Christianity. He said seeing three Bibles with the PKK emblem on the cover made him decide this was something “traitorous”. Since the 18 July hearing was to have concluded with the prosecution’s last three witnesses, the defence lawyer informed the presiding judge that he would begin in the afternoon to present to the court several of his defence witnesses who were waiting outside the courtroom. However, the judicial bench bypassed three of Halavurt’s key witnesses, all of whose names appeared in the indictment. Instead, the court only permitted him to summon one available witness whose name was not in the indictment, Umut Dogan. As head of the Resurrection Church’s officially registered association board, Dogan testified that he had known Brunson for the past ten years. He noted to the court that he had read the indictment and all the news reports appearing in the Turkish media about the pastor’s case. “Everyone knows about missionary work here; nothing is being done secretly,” he said. In response to questions, Dogan stated that he was not aware of any major differences among their congregation’s members over ethnic or doctrinal issues. Because he does not know either Kurdish or Arabic, Dogan said, he had not attended the Thursday night services held for Syrian Kurdish refugees at the church. After Dogan’s 15-minute testimony and cross-examination was completed, Brunson told the court in his closing defence statement that none of the witnesses had been able to testify “that they had heard anything about the PKK from my mouth”. Instead, he said the prosecution had focused on finding nationalistic and disgruntled Turks frequenting his church, trying to find hearsay to be used as “evidence” against him. “I completely reject the accusations of these witnesses against me. I greatly miss my wife and family, but my faith teaches me to forgive, so I forgive those who testified against me,” he said. Although it was only mid-afternoon, compared to the two previous hearings which had extended ten hours or more, approaching midnight, the judicial panel quickly reviewed and granted several procedural requests filed by Brunson’s lawyer. Then the prosecutor renewed his demand that the pastor be remanded back to prison until the next trial hearing, which the presiding judge set for 12 October, and promptly closed the hearing. Lawyer Halavurt had just learned that day that two new secret witnesses for the prosecution had been added to the case, to be heard along with “new evidence” at the next hearing. It remained unclear whether the defence would be allowed to put its key witnesses on the witness stand three months later. The court had previously declared that any individuals whose names were included in the indictment were considered “suspects” and would not be allowed to testify for the defence. Protesting what he termed the “disgrace” of the legal mishandling of his client’s case, Halavurt said he would continue to insist that the court listen to the defence witnesses. “The [prosecution] witnesses are suspicious,” he said. “We know the identities of the secret witnesses.” Under Turkish law, it is a crime to reveal the identity of court-protected anonymous witnesses, whose faces are blurred and voices altered during live videoed court testimony. 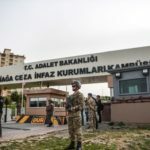 Although the Izmir Second Criminal Court promptly ordered Brunson back to prison on 18 July, just a week later his lawyer’s appeal to transfer the pastor to house arrest was granted, banning him from leaving the country until the 12 October hearing.